On September 20, 2017 the New Jersey Appellate Division approved a domestic violence case for publication the matter of L.C. v. M.A.J. (A4933-15T2), in which the Appellate Division addressed the use of pre-trial in limine motions, which are pretrial motions commonly used to request the court to make legal determinations about evidence before trial, to seek an eve of trial dismissal of a litigant’s pleadings. The Plaintiff in this case filed a domestic violence complaint in May, 2016 in which she alleged that the defendant was harassing her by sending communications to her and her employer; the complaint further alleged a history of past domestic violence that included physical abuse and controlling conduct. At the final hearing, Defendant filed a motion in limine to dismiss that he claimed was based on Rule 4:6-2(e) for failure to state a claim upon which relief may be granted. His actual pleadings, did not address whether Plaintiff met the elements for a cause of action but asserted that his communications related to parenting issues, not harassment. The court granted the motion to dismiss the temporary domestic violence restraining order and heard no testimony. The Appellate Division reversed. The Appellate Division condemned the use of in limine motions that are dispositive of or seek to terminate an action on the eve of trial. Instead, an in limine motion at such a late date should only address preliminary or evidentiary issues, and even then such in limine motions are disfavored and should be heard sparingly. Defendant’s motion did not ask the court to resolve a preliminary or evidence issue, but a sudden and summary dismissal of Plaintiff’s complaint, which the Appellate Division found improper, especially in a domestic violence matter where an alleged victim’s safety was at issue. The Appellate Division stated that in rare cases could a domestic violence case be dismissed before trial, and even then, due process required adequate notice to the plaintiff and an opportunity to respond and file his/her own papers, which Plaintiff in this case did not have an opportunity to do with so little notice. If Defendant felt that he had grounds for dismissal, he should have instead requested an involuntary dismissal at the close of the plaintiff’s case or at the close of all the evidence. An additional reason for reversal was based on the Defendant and the court believing that Plaintiff’s factual allegations were not sufficient for the issuance of a final domestic violence restraining order. The trial court, when granting the Defendant’s pre-trial motion to dismiss found that Plaintiff had not met her required burden of proof. 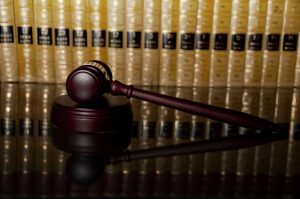 A motion to dismiss pursuant to Rule 4:6-2(e) cannot address a plaintiff’s ability to prove the allegation in the complaint. Defendant’s motion, however, was actually a summary judgment motion. In granting Defendant’s motion, the trial court accepted Defendant’s characterizations about his motive in sending communications to the Plaintiff. But in considering summary judgment motions, the court is required to review the facts in the complaint in a light favorable to Plaintiff, not to Defendant. Plaintiff’s complaint had enough detail to suggest that Defendant’s motives in sending her and her employer communications were made with a purpose to harass and control her.